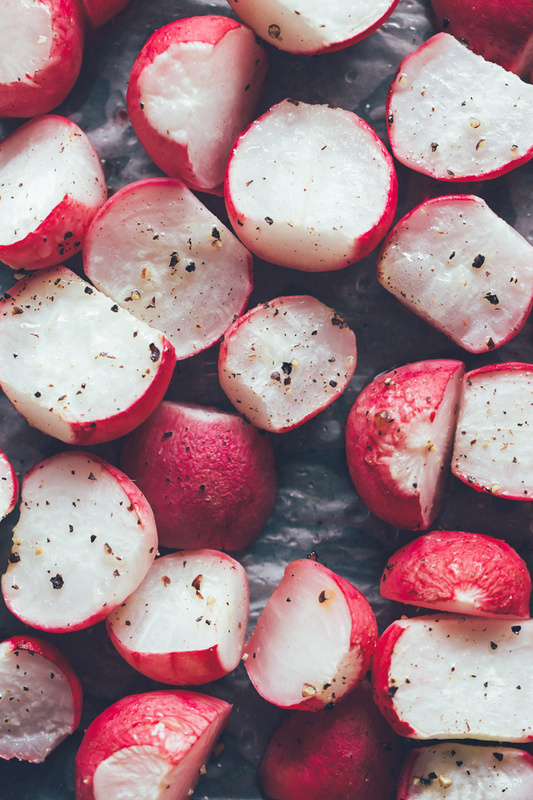 Cut radishes in half and spread out on the baking dish. Drizzle on the avocado oil or melted butter, coating the radishes evenly. Sprinkle with salt and pepper, mix around then let it bake for 20-25 minutes or until fork tender. Remove from oven and enjoy right away.